Note: This product is part of my Cluttering Bundle! 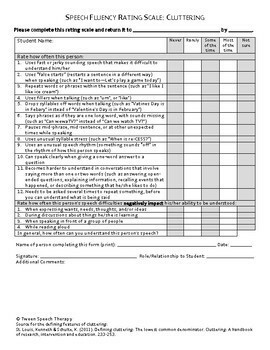 I use these cluttering rating scales for evaluations and for writing goals on the student’s Individualized Education Program (IEP). I made these because I needed something that a non-SLP could understand. I use this to learn what my students think of their own speech. 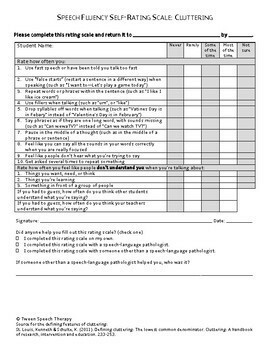 I sit with the student and explain each question, letting the student mark the rating. Keep in mind that students aren’t always completely aware of their speech problems, especially when it comes to cluttering. Be sure to check out my other cluttering resources! 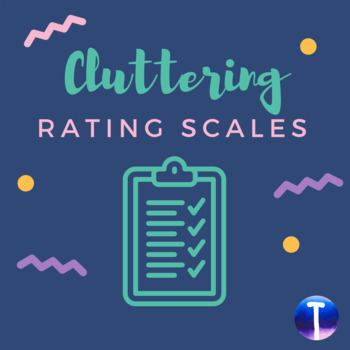 Read my blog post about cluttering for even more information.